Somewhere over the rainbow in Connecticut, Ashley shares her first audition back. Well, it’s been about six weeks since I moved to Connecticut and it’s been theatrical to say the least. 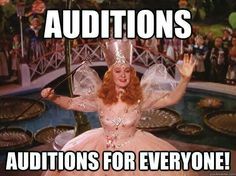 But, in the middle of battling new-apartment woes resulting in a lack of hot water, electricity, and a working door, I decided to throw myself into the local audition scene. Because in times of rainbowed chaos, why not throw another color into the mix, right? I was auditioning for the role of Sylvia the dog in A.R. Gurney’s play of the same name. I unpacked some makeup and found my Goodwill purple dress covered in patterned dogs to wear. Unfortunately, I was unable to find an iron to take out some of the wrinkles but that didn’t stop me! The theater company was only a town over but in order to get to their space, I’d have to take a twenty-minute trek on the highway. Now, I get that this mundane task sounds easy to many of you. But for someone who hasn’t been driving in eleven years, it was a big deal to me. To add more fun, on the evening of my audition, we experienced a massive thunderstorm and I found myself having to do the commute in pouring rain and ill-timed foggy conditions. I also turned on the Into the Woods soundtrack a bit too loud to try and pump myself up and I managed to miss the audible directions provided by my phone so my journey took even longer and resulted in having to take a dreaded left-hand exit. YIKES BIKES, a moment in the woods, indeed. But I made it! I walked in, filled out my audition form, tried to find the most comfortable chair, and read over the sides. It then started to hit me that I wasn’t in San Francisco anymore. Back in the Bay Area, I would have known at least five people in the waiting room and would have been trying to inappropriately gossip with all of them; I would have been familiar with the space in some capacity, either as an audience member or from working there before; I would have known more about the company, the production team, and their history than what I was able to quickly learn online. But here I was, the new girl in town, wearing a purple-patterned dog dress, quietly waiting her turn. 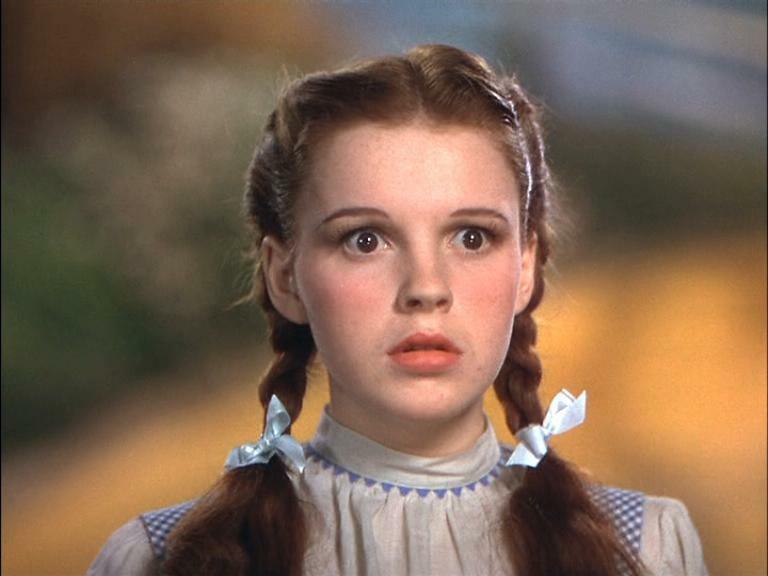 Don’t look at me like that, Dorothy. You would have worn the dog dress, too. When they called me in, I had a moment to introduce myself as they found someone to read with me. Immediately, in my heightened nervous state, I did what I always do: ask as many questions as will fit in my mouth. I asked what show was currently in the space, if they were working on anything other than this, how long they had been doing theater with this company, and how auditions were going, in a record ten seconds. ZING! WELCOME TO THE NEIGHBORHOOD, COWAN! Luckily for them, my scene partner soon walked in and we took a go at things. After completing the first side, I was asked to do some physical improv exercises to show off my dog sensibilities. These are always fun but I never know how far to push the limit and if I should cut myself off at any particular moment. While I’m glad that I really committed to whatever action I was doing at the time, at one point, I chose to run up on a ramp, lie on it, and then slide down it as the audition panel asked each other, “is she allowed to use the set like that?” Whoops. Lesson learned, you probably don’t want to distract the people who may be interested in casting you by putting the stage in danger. Once that was over, my small talk returned! Upon mentioning all I had learned from my own dog, I proceeded to say that I had adopted her the day after Obama had been elected President because I was young, new to San Francisco, and feeling extra hopeful and inspired about life. I cut myself off after I had a moment of, “you’re not in San Francisco anymore, Cowan” wondering if I should try to keep any political opinions, along with my dangerous physical ways, outside the casting room considering I was trying to make a good first impression based upon my acting abilities. After reading one more scene, I sincerely thanked everyone for their time and went to find my car. When I got home, I literally high-fived myself because, sure, I was proud of myself for trying but honestly, I was so excited I had completed the journey by car alone. The next day, I was asked to come in for a callback and I felt like a fearless pro as I navigated the streets to the theater. I read a few of the sides from the evening before and found myself with the same question I always have at callbacks regardless of location: do I do the scene with what seemed to “work” last night and attempt to recreate some of those beats or do I try something totally new and fresh with the same sides to show them something different? Well, until next time, friends! You’re always in my thoughts and heart. I hope the view over your San Francisco rainbow has been full of theatre beauty!